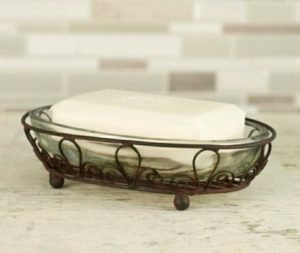 You will love the look of this vintage style green enamel soap dish with an embossed surface that hangs on the kitchen or bathroom wall. 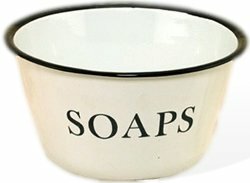 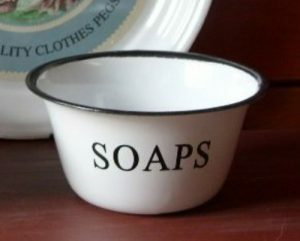 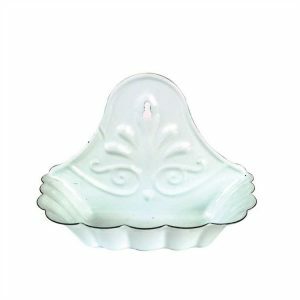 You will love this vintage retro reproduction of an old fashioned enamel soap dish in retro green. 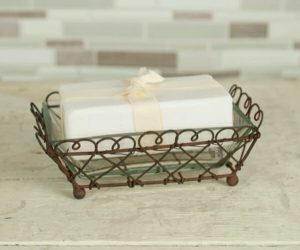 Embossed front and scalloped edges with a distressed finish.